According to the governor, Michigan will have more than 811,000 career openings to fill through 2024 in fields that are facing talent shortages. Senate Bills 941 and 942 would invest $100 million in new competency-based education programs, equipment for the program and career and technology education, student scholarships, career exploration tools and more. Schools would receive $10.5 million for career development facilitators to help students explore available career pathways and create learning plans, and $20 million would be used to assist low-income residents with the cost of obtaining a degree or credential in a high-demand field. The Senate bills would distribute grant funds through a tiered approach based on district student population, consolidate the many grant applications in one master “Marshal Plan” application, and require 50 percent of grant funds to be awarded by June 1, 2019. SBs 941 and 942 have been sent to the House of Representatives for consideration. Editor’s note: Audio comments by Zorn are available at www.SenatorDaleZorn.com/Audio. 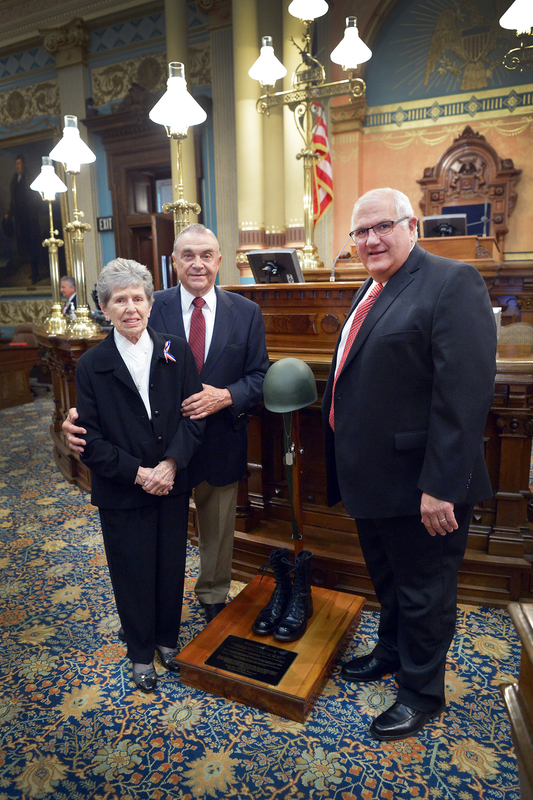 LANSING, Mich. — The Michigan Senate on Wednesday approved Sen. Dale Zorn’s legislation to help combat opioid abuse by allowing hospices to help patient families safely dispose of excess prescription drugs. Controlled substances prescribed to a hospice patient are the property of the patient or the patient’s family in the case of the patient’s death. Under current law, a hospice employee may not assist in disposal of the drugs. Senate Bill 842 would require the state Department of Health and Human Services to implement rules for the disposal of controlled substances in the homes of hospice patients when drugs are not needed by the patient or the patient has died. The bill also would require a hospice or a provider of hospice services in a patient’s private home to establish and implement a written controlled substance disposal policy. The policies would need to include procedures for offering assistance in disposing controlled substances and recording the patient or the family’s decision on accepting or declining assistance, as well as requirements for witnessing the disposal and providing a patient or family with information on the safe disposal of prescription drugs. “This is about putting in place clear guidelines for how hospices can help grieving families safely dispose of unused prescription drugs after a loved one has passed away,” Zorn said. SB 842 now heads to the House of Representatives for consideration. LANSING, Mich. — The Michigan Senate on Tuesday approved Sen. Dale Zorn’s legislation as part of a 12-bill package to repeal 29 obsolete, burdensome or duplicative state reports. 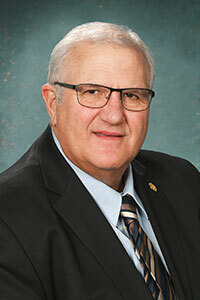 Zorn’s bill is Senate Bill 1007, which would repeal a requirement that the Department of Agriculture and Rural Development report on food establishment licenses issued by the department during the preceding fiscal year. These reports take many hours to compile, and the department said it has not had any inquiries or questions regarding them in years. SB 1000 is the most comprehensive bill in the Senate package. It would repeal 16 reporting requirements in the Natural Resources and Environmental Protection Act. One report eliminated by the bill would be a report by the Department of Natural Resources on the Recreation Bond Fund, which has been closed out and has exhausted its funds. A total of 41 reports would be repealed by the Senate bills and companion House measures. SBs 1000-1011 have been sent to the House of Representatives for consideration. LANSING, Mich. — Sen. Dale Zorn, R-Ida, welcomed Korean War era veteran Richard Sieb and his wife Marjorie to the state Capitol on Thursday as his special guests for the Michigan Senate’s 24th Annual Memorial Day Service, which honored Michigan’s fallen soldiers. Richard Sieb is a retired staff sergeant in the Air National Guard and former Monroe mayor. The Siebs are active community volunteers and members of numerous local organizations. The Monroe County Historical Commission recently recognized the Siebs for their contributions to local history and the entrance of the main gallery of the Monroe County Museum was named in their honor. LANSING, Mich. — Gov. Rick Snyder on Wednesday signed Sen. Dale Zorn’s legislation to continue funding to help low-income residents reduce their home heating costs. Senate Bill 647, now Public Act 161 of 2018, extends the lapsed sunset for weatherization assistance from the Low Income Home Energy Assistance Program (LIHEAP) until fiscal year 2022. The LIHEAP is a federally funded program for heating, cooling and weatherization assistance. The new law also requires the Michigan Department of Health and Human Services to report to the Legislature by July 1 of each year on the operation and effectiveness of home heating and weatherization programs funded by LIHEAP. Earlier this year, Monroe County Opportunity Program Executive Director Stephanie Zorn-Kasprzak testified in support of the legislation. The law takes effect immediately after receiving unanimous support in the Michigan Senate and near-unanimous support in the Michigan House of Representatives. LANSING, Mich. — Sen. Dale Zorn announced on Tuesday that Monroe will see a more than $100 million expansion to the Gerdau Macsteel plant thanks to a recently approved state incentive. Gerdau Macsteel is one of the largest steel producers in North America, manufacturing products servicing the construction, automotive, agriculture and energy markets. The company plans to expand its facility in the city of Monroe, which would increase capacity of special bar-quality steel used in the automotive manufacturing process. The Michigan Strategic Fund approved an exemption from the State Essential Services Assessment for the company valued at $2.4 million to support the project. LANSING, Mich. — The Senate Oversight Committee on Thursday approved Sen. Dale Zorn’s legislation as part of a 12-bill package to repeal 29 obsolete, burdensome or duplicative state reports. Senate Bill 1000 is the most comprehensive bill in the Senate package. It would repeal 16 reporting requirements in the Natural Resources and Environmental Protection Act. One report eliminated by the bill would be a report by the Department of Natural Resources on the Recreation Bond Fund, which has been closed out and has exhausted its funds. Zorn’s bill is SB 1007, which would repeal a requirement that the Department of Agriculture and Rural Development report on food establishment licenses issued by the department during the preceding fiscal year. These reports take many hours to compile, and the department said it has not had any inquiries or questions regarding them in years. SBs 1000-1011 now head to the full Senate for consideration. The Michigan Senate approved my resolution declaring May as Community Action Agency Month. Our community action agencies (CAAs) continue to play an important role in improving our state and bringing new opportunities to all residents. They excel in developing affordable housing, distributing food, weatherizing homes, assisting families and veterans with emergency needs, preparing people to return to work, and offering a wide array of other helpful services. This month is a time to raise awareness of these great organizations and to express our appreciation for the tremendous work they do every day to impact thousands of lives each year. Our CAAs are the only community-based organizations providing full wraparound, locally directed services in all 83 counties in the state. This is about recognizing the dedication and hard work of the people at our community action agencies as they promote economic stability and build stronger communities by helping struggling families improve their lives and achieve the American dream. I have introduced two bills as part of a comprehensive Senate effort to enact commonsense, effective solutions to keep our students safe. Dundee Community Schools Superintendent Edward Manuszak recently joined me at a Senate Education Committee hearing on Senate Bill 991 to ensure that authorities can pass along potential threats to Michigan schools at any time. Michigan’s OK2SAY program is a 24-hour-a-day hotline that gives students a safe and confidential way to report suspicious or threatening behavior. The program has done a fantastic job in helping protect Michigan students and save lives. Students can report tips by phone, text message, and email, and through a website or an app. In real time, OK2SAY connects tip providers to the state police, who assess the situation and then refer the information to the appropriate school officials or law enforcement. However, sometimes threats to students’ safety occur outside of school hours. My legislation would ensure that at least one school official is available to receive information about threats at any time so he or she can take any necessary action to prevent a tragedy. SB 991 would require, at least every two years, a governing body of a school to provide the state police with the current emergency contact information for a school official who would receive information submitted through the school safety hotline — and any accompanying analysis of a potential threat — 24 hours a day, 365 days a year. Also in the Senate school safety package is SB 959, my legislation to require the Michigan Commission on Law Enforcement Standards to develop statewide training standards for active-shooter situations in schools. These legislative reforms are on top of a Senate-passed boost in current-year funding to make critical school safety improvements and help prevent school tragedies. SB 601 would provide $15 million for grants for schools to make vital school security enhancements and $3 million for a statewide school emergency notification system that would be available to all Michigan schools. It also features $500,000 to help raise student awareness of OK2SAY by doubling the promotion of the initiative. Since 1976, the Michigan Natural Resources Trust Fund (NRTF) has done a tremendous job preserving our natural resources and enhancing the enjoyment of Michigan’s great outdoors. I recently supported legislation to strengthen the trust fund’s core preservation purpose while increasing the flexibility of the NRTF and the Michigan State Park Endowment Fund (MSPEF) to provide greater funding for local outdoor recreation. The NRTF is supported by interest earned on funds generated from the development of state-owned oil, gas and mineral rights. The fund is constitutionally restricted for land acquisitions and recreational development. Senate Joint Resolution O is a proposed constitutional amendment that would change the NRTF restriction that “not more than 25 percent” of the total spent be used for recreation development to “not less than 25 percent” of the total spent. The Crystal Waters project in 2017 was a prime example of the NRTF’s long record of preserving our state’s natural resources and improving public access to outstanding recreational opportunities. This package would build on that success by increasing funding flexibility, protecting the funds for natural resource recreation and development, and increasing funding for local recreation and improvements to area state parks. Currently, until the MSPEF reaches a cap of $800 million, half of the annual revenue is credited to the fund’s principal and the remaining revenue may be spent on operations, maintenance and capital improvements at state parks and for land acquisition for state parks. 15 percent to a new local development projects grant program. Once the MSPEF reaches its $800 million cap, oil and gas royalties would return to the NRTF and the NRTF’s $500 million cap would be eliminated. If SJR O is approved by the Legislature, the proposal would be placed on the ballot for approval by the voters. 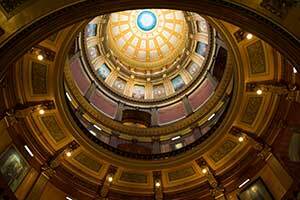 Senate Bills 763, 931 and 932 would make statutory changes in state law to implement SJR O. The bills would only go into effect if the voters approve the ballot measure.